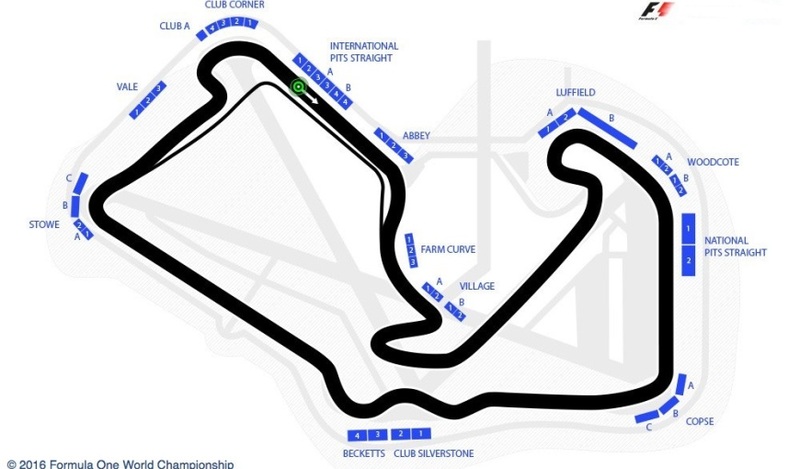 Silverstone is the oldest circuit on the F1 calendar and one of the season's fastest, with a series of firm straights broken up by some of the most evocative and demanding corners in all of F1, including Becketts, Copse, and Brooklands. This event also enjoys a huge, passionate and knowledgeable crowd creating a fantastic atmosphere. 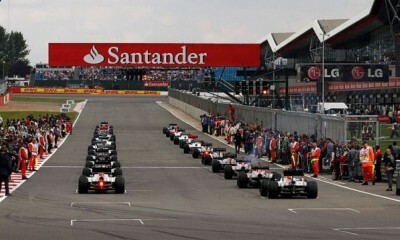 Silverstone truly hosts a glamorous Grand Prix as the former RAF aerodrome welcomes some of the world's biggest celebrities; from musicians and actors to sportsmen and entertainers. This ticket provides access to general areas located around the circuit. Seating is mostly on grassy mounds and views vary greatly. We recommend getting to the track early in order to claim a good spot. The general admission ticket is a great option for guests who prefer the flexibility to move around the circuit. The ticket includes a roving seat in available grandstands for Friday and access to the General Admission areas. The International Pits Straight Grandstand runs along the outside of the main straight, and is a great place to watch the adrenalin of the pre-race grid preparations, the dramatic race start, and see the winner take the chequered flag before celebrating on the podium. Becketts Grandstand offers a fantastic view of quite simply one of the most iconic and exciting sectors in all of F1. You will enjoy a clear view all the way to the entry of the Maggots S bend, and through the increasingly steep S bend of Becketts, and all the way to the exit onto the Hangar straight at Chapel. This is an exceptional spot to enjoy a panoramic view of this section showcasing” the incredible high-speed cornering capability of modern F1 cars. They stick to the tarmac as though on rails, changing direction dramatically as they weave through the S bends. In Club Corner, you have a great view of the winners’ podium, as well as a spectrum from Stowe all the way to Vale into the International Pits Straight. Seats in Luffield Grandstand offer a great view over this famous tricky right-hander, where the cars slow to just 65 mph as they hug the apex. You will see the cars enter the mid-speed Brooklands left-hander, an overtaking spot, before braking hard for this bend, before accelerating hard on exit, and around Woodcote. This is a great spot to see the varied performance of a modern F1 car, overlooking some of the most famous corners in all of F1, with overtaking spots, and hard acceleration and braking zones. Seats in the Copse Grandstand offer a view of the short braking zone on the entry to this famous high-speed right-hander, allowing you to see the impressive performance of a modern F1 car, sweeping through this critical corner at incredible speed thanks to aerodynamic grip. You will also have a good view of the exit of the high-speed right-hander at Woodcote, and the blast down the National Pits Straight, and the first part of the exit of Copse which leads down to Maggots. *Please be aware that the programme is subject to change. * Conditions: Prices per person in NZ$, twin share on board basis and ticket category as listed above. Payment: 60% non-refundable deposit due at the time of booking. Balance due 90 days before departure. Balance is subject to exchange rate fluctuations and price is guaranteed only upon receiving full payment. Subject to availability and AIM Holidays T&Cs as listed on our website. AIM Holidays is a New Zealand owned independent wholesale travel company offering an extensive range of destinations and products. 2016 AIM Holidays All Rights Reserved.